The Victorian era is often seen as the pinnacle of architectural style. Its emphasis on decorative detail is unsurpassed. Victorian conservatories are no exception. Their pitched roof with multiple facets perfectly evokes the character of traditional Victorian buildings. Victorian conservatories are one of the most popular choices for UK homeowners. They are perfect for period properties and add character and charm to more modern buildings. 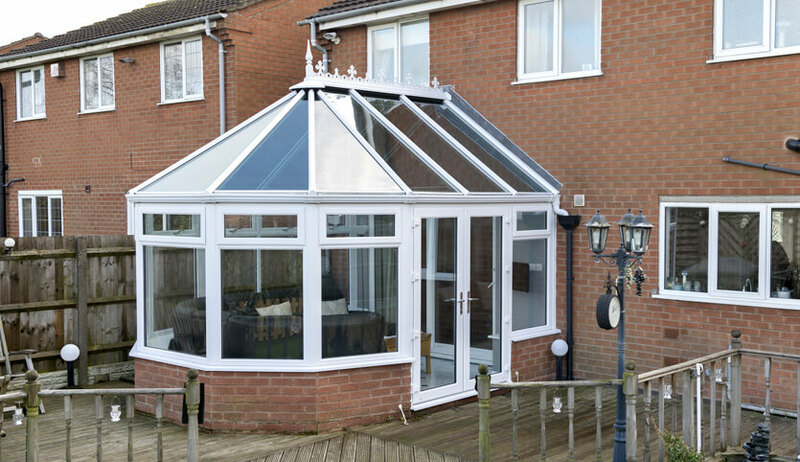 Victorian conservatories perfectly blend heritage looks with contemporary convenience. Their curved design helps to optimise natural light intake and create a unique interior layout. Energy efficient glazing and multi-chamber frames enhance insulating capacity while your choice of doors and windows feature multi-point locking systems for superior levels of security. Victorian conservatories can be specified in almost any size to suit your requirements. Three or five faceted sloped roofs are popular choices, allowing you to enjoy an extended living area without too much impact on your garden space. 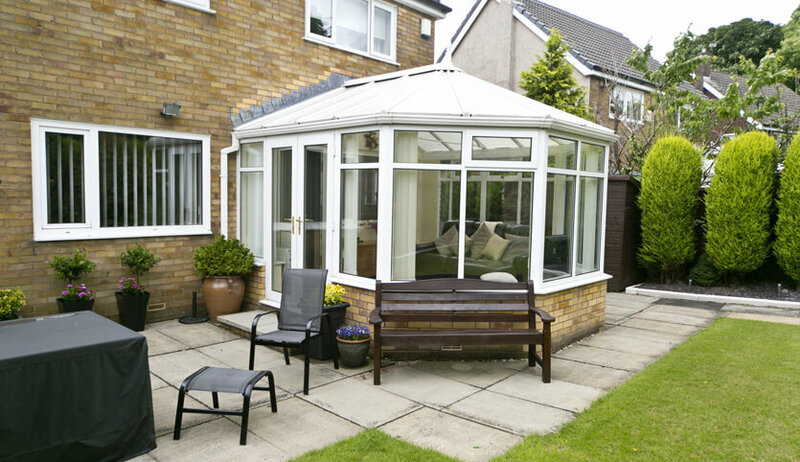 Some older conservatories were often too hot in the summer and too cold in winter. Fortunately, technology has come a long way since these early conservatories. 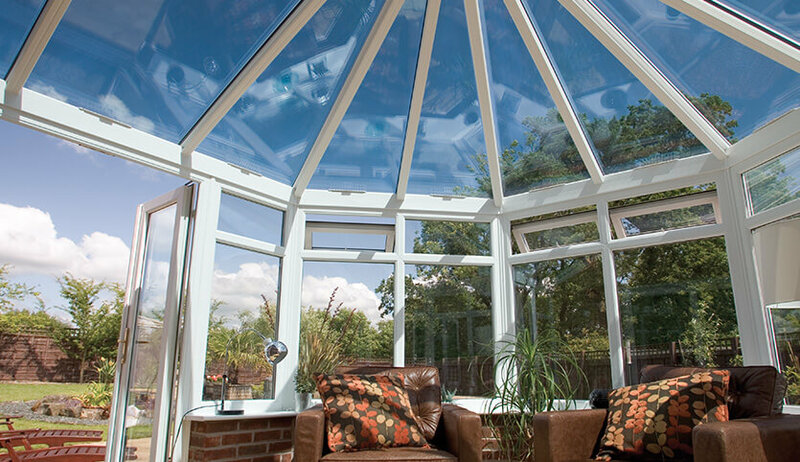 At FineLine, we use the latest high-tech systems to ensure that your conservatory can be used 365 days a year. Solar control glazing regulates temperature to create an ambient interior environment for all seasons. 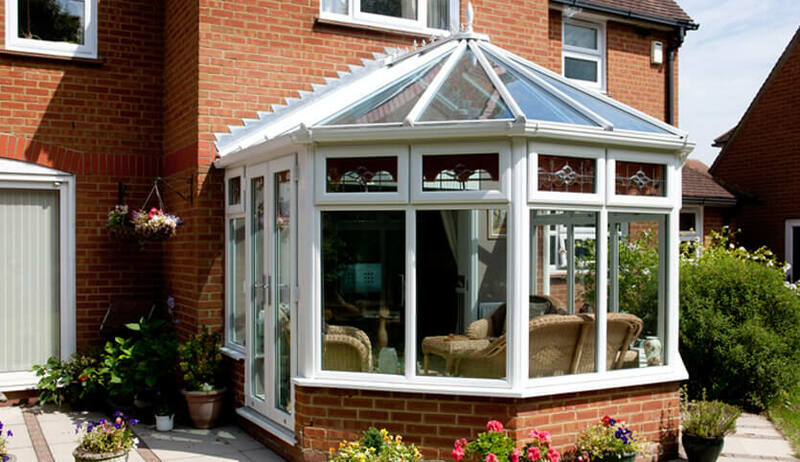 Our Victorian conservatories are available in popular uPVC or modern aluminium. Choose the best material to suit your home’s style and your requirements. Our Victorian style conservatories come in a wide variety of colours so you can customise the final look to suit your home. Our Victorian conservatories are double glazed for improved security and energy efficiency. Customise your orangery with a selection of styles, glass, and bar options.